Select "Add New" within your Wordpress Plugin menu. After installing the Hotjar Plugin, navigate to "Settings" from your panel on the left-hand side and click on "Hotjar" from the dropdown. 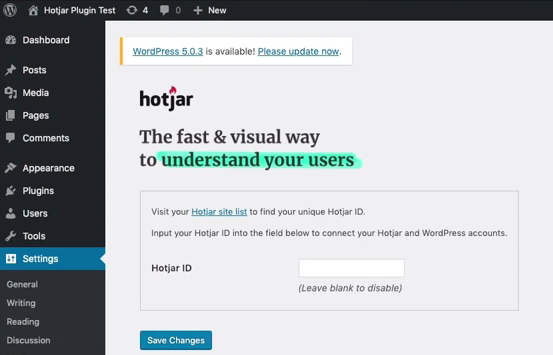 You can find your Hotjar Site ID once you've clicked on "Hotjar Site list" (or this link).